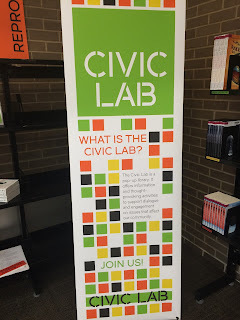 In this first iteration of our Civic Lab here at my library, most of the modes for participation are passive: voting on the major question, browsing the resources, and reflecting on or responding to the conversation starter questions. 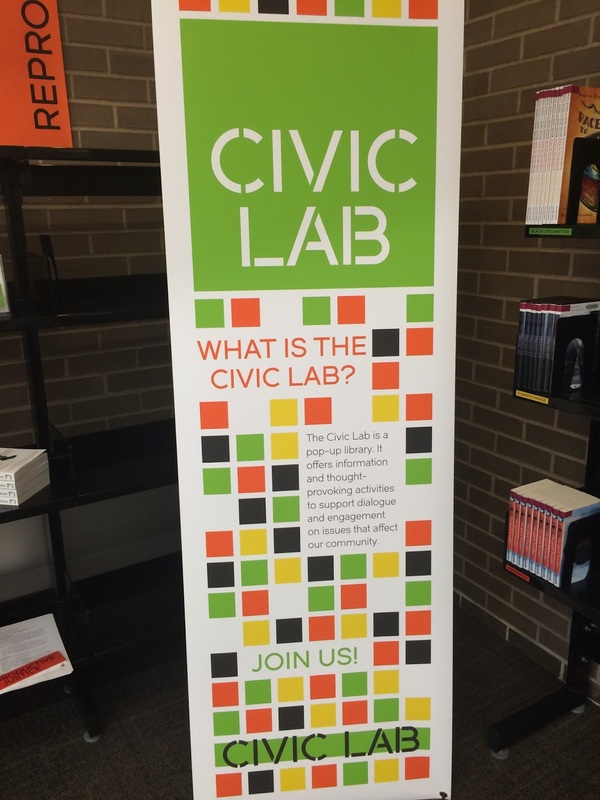 This first appearance of the Civic Lab has been largely unstaffed--which is decidedly different from how we plan to proceed when we get to round two. But there has been a specific active component for youth in conjunction with the Civic Lab's debut: pop-up stories and discussion. I facilitated each of these pop-ups, one for each of our six topic areas. During the days we were focused on each topic, I grabbed the picture book from that topic's micro-collection and headed into the youth services department. I looked for the areas where kids were playing or hanging out, then introduced myself and invited them to participate in one story with some talking afterward. As is usual in our busy library, only a handful of kids were willing to put down the activity they'd been engaged in to participate--but that's fine, as it ensured our groups were small and cozy, better for thoughtful shared reading. Then, when we were settled around a table, or in a circle on the floor, I'd open the book and start to read. Depending on the particular title, we might immediately start talking about what we saw in the pictures, or words that we were hearing in the story that weren't familiar. The goal of the pop-up stories was to engage kids in the focus topic in a developmentally appropriate way; and in many instances, the reading was the first encounter with the topic. It felt important to share the story together and to think about it, to ask questions and to encourage kids to ask them, too, and to respond with information, or more questions, when appropriate. 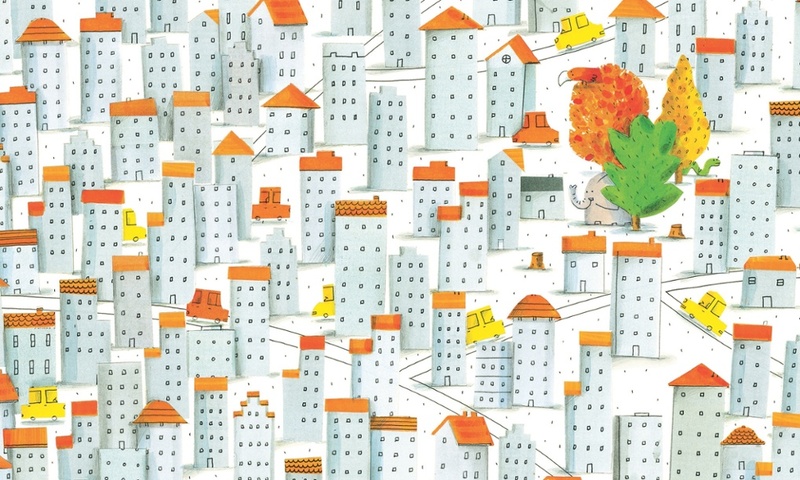 My favorite, and probably most successful, of these pop-up stories and discussions was with the title Where's the Elephant? 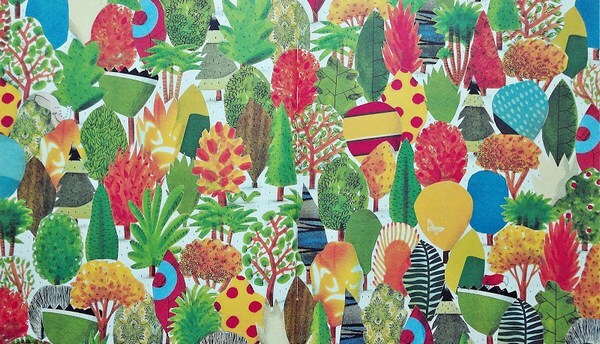 In that gorgeous picture book, kids are asked on the first, lush spread to try to find the elephant, snake, and parrot. 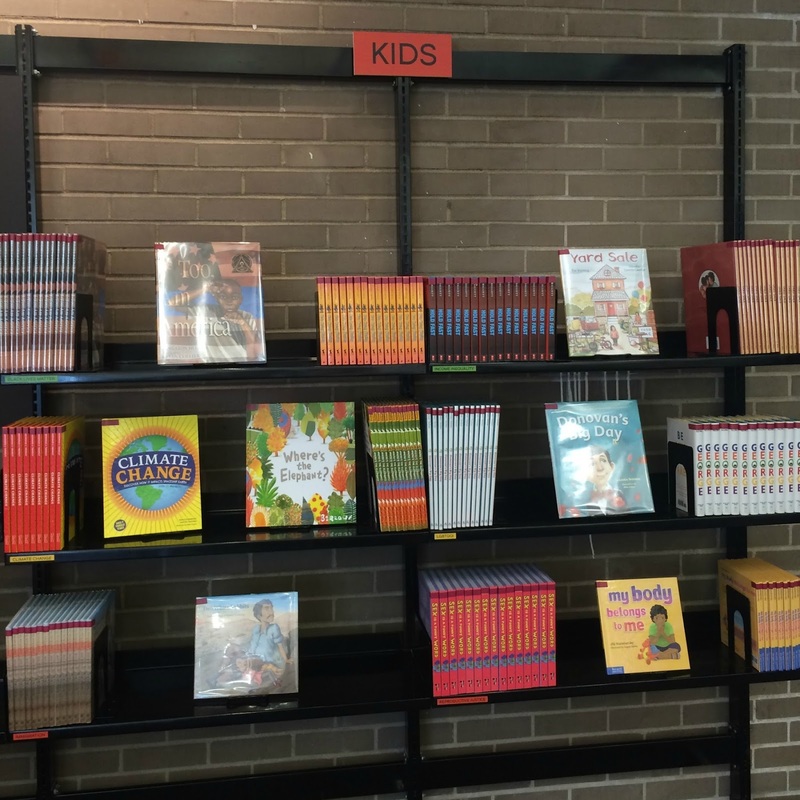 It's a familiar type of book-sharing for kids--the seek and find. They get really into it, applying laser focus to each spread to find those animals. 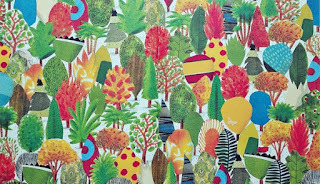 It gets easier and easier to spot them on each spread, as with each page turn, more and more of the lush forest in which they've lived is cut down. Eventually, the animals are hiding among houses, not trees, until finally they end up in the zoo. Easy to spot? Absolutely. And that visual storytelling makes it so impactful to finish the book and ask the kids, "So what do you think the story was really about?" 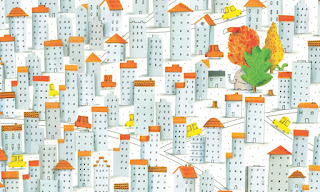 Spread from Barroux's Where's the Elephant? Where's the Elephant? spurred great conversations about how humans impact our environment, and how that has effects on other living creatures as well as on ourselves. It was a unique approach to the larger topic of climate change, which ties back to humans' impacts on our world. The simple story gave kids a frame for thinking about the topic. I think this type of activity could be easily replicated outside of a larger initiative like our Civic Lab. A storytime leader could easily add one of these picture books into storytime and have a quick little chat after the story. If parents are present at the story sharing, the story gives them the opportunity to think about how they might have that conversation with their kids. We've anecdotally found that parents do want to talk to their kids about these major topics in the world, but they don't always know how to go about doing so. 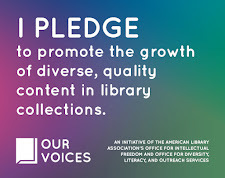 Sharing stories that connect to major topics can show parents that there are resources to support those conversations, and that their library is a place to go for those resources and for their own support. Sharing these types of stories gets us engaged in conversation with each other in ways that build community bonds--whether among a family, a neighborhood, or an entire community. Give it a try.